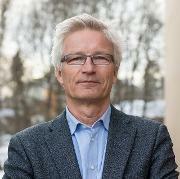 Jan Abel Olsen is a Professor of Health Economics in the Department of Community Medicine, University of Tromsø, Norway. He is an adjunct professor in the Centre for Health Economics, Monash University, Australia and part time researcher at the Norwegian Institute of Public Health. Jan Abel has been visiting professor at the London School of Hygiene and Tropical Medicine, the University of York, and Bocconi University, Italy. He has published extensively in the leading health economics journals. His eclectic research interests include: valuation of health outcomes, equality and fairness, determinants of health and well-being, healthcare financing and incentives. Jan Abel enjoys teaching and has written three books in health economics. How should society intervene in the determinants that affect health? How should healthcare be financed? How should healthcare providers be paid? How should alternative healthcare programmes be evaluated when setting priorities?